There are two reasons, why I don’t use Stansted Airport. There are better ways to fly! It’s not simple and I can’t buy an extension ticket to my Freedom Pass as I can for Gatwick, Luton and Southend. I’d use the Airport more if I could use a contactless card from Tottenham Hale station. 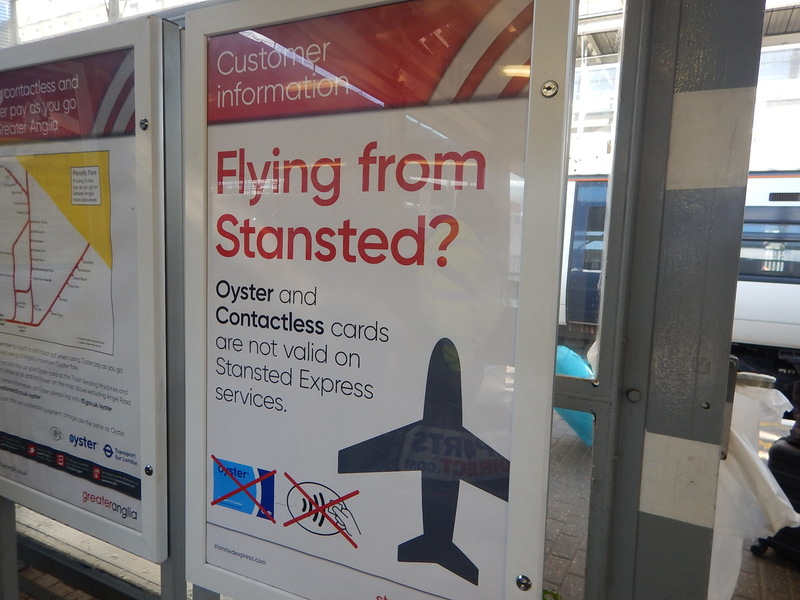 As an aside, I also think Cambridge should be in the contactless area. It does seem odd that you cannot use a card to get to somewhere that is billed as a London airport. Stansted – a shopping mall that just happens to have a runway attached!! It used to be a lovely little airport but now it is hell on earth. Pity as we live in Walthamstow!